I was sorting though a box of antique and collectible price guides, and I came across this old business card. It was my grandfather's card - he was an epic collector of just about everything. 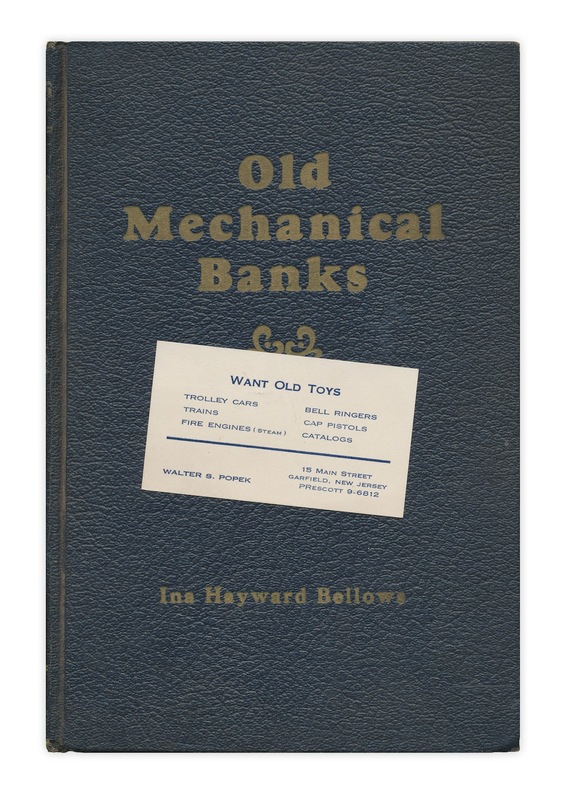 The book is "Old Mechanical Banks" by Ina Hayward Bellows. Published by Lighter Publishing, 1940. How's that for too cool!!! I always enjoy your finds but this is the best! Makes me smile, I can just imagine how you felt. Was this a book of your grandfather's, or was it a book that came to you from a client of your grandfather's? Either way, it must have been a very neat thing to find.